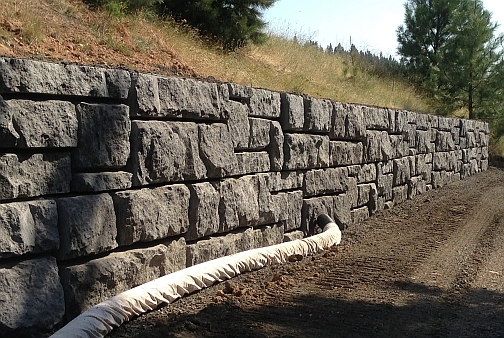 Because of the size and weight of the individual blocks, the Big Rock Block allows you to build a taller gravity wall between 6 to 10 foot heights without geogrid. As always, walls over 4' in height may require a permit and engineering. Please check with your local municipality. 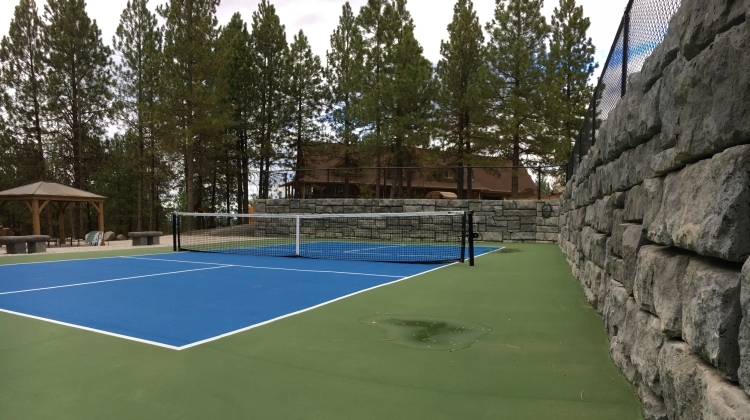 The Big Rock Block's unique design and the handcrafted face create the feel and look of natural stone. Each mold was created from real natural rock formations to get the authentic texture. 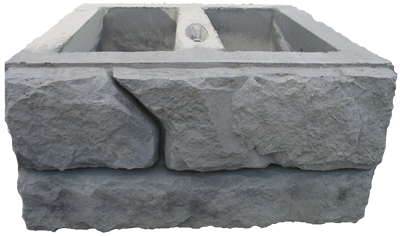 Big Rock Block is manufactured using wet cast concrete, incorporating some of the techniques used in the making of manufactured stone. Big Rock Blocks are just that, BIG! The Full Block is 23" tall x 48" wide x 38" deep. The Half Block is 23" tall x 24" wide x 38" deep. And the Corner Block is 23" tall x 48" wide with a 24" return face. 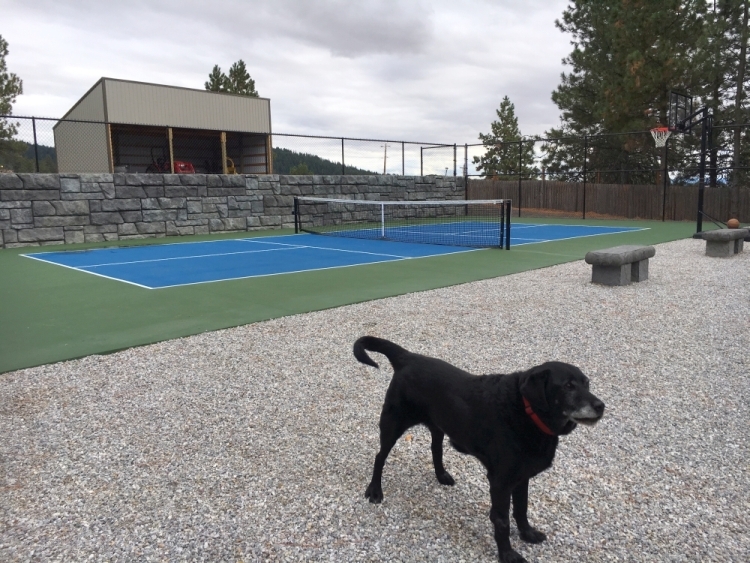 Whether your project is commericial or residential, White Block's Big Rock Block is sure to enhance and beautify your home or commercial landscaping needs. Give us a call today to learn more about this exciting new product!